A lot of readers have been asking about man coverage, hence this explanation. 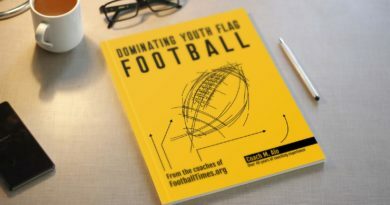 Most flag football is played in a 7 versus 7 format. Assuming this format, man coverage should be played as described below. Here is what we have found to be the best MAN defensive strategy for 7-7 flag football. Although zone coverage is probably the superior of the two, it may be worth while to look at the man defense. The Zone Defense article can be found on this website as well. Defense is the best part about football. Everyone loves offense and wants to be a “star”, but it’s defense that wins championships, and defense that wins flag football tournaments. If you don’t love defense, please EXIT now! In reality, man coverage is not the best defense for flag football, unless the QB you are playing against can not run. If the QB is immobile, then man coverage is perfect! Once the QB starts running, switch to the zone defense to contain him. In this scheme, the cornerbacks (CB) are playing man to man coverage. While the safety (S) and linebacker (LB) are playing a modified zone. The defensive line (LB) is rushing the QB. 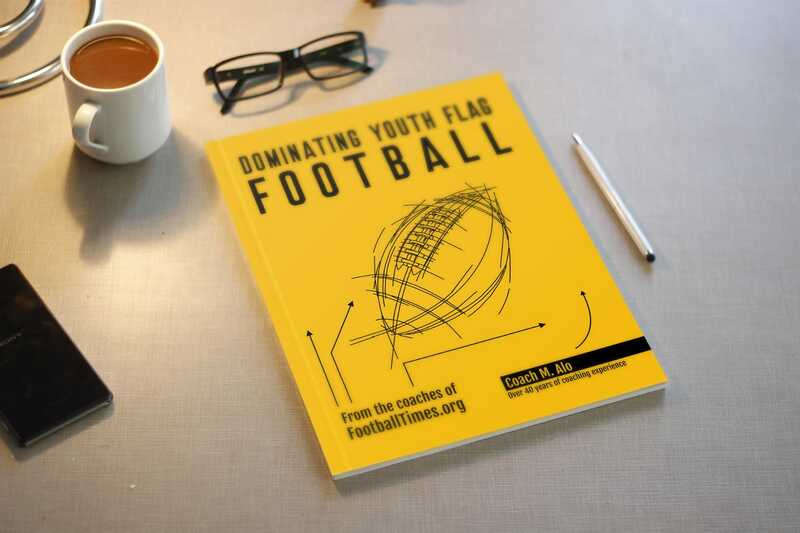 The linebacker and safety are the key players, make sure they are the smartest most experienced, savvy football players on your team, especially in flag football. It’s not about size and strength, it’s about speed and intelligence. Do they know who to cover and when? Assignment football always beats better athletes. Guard you receivers man to man. Stick to them. Call for help if your man gets loose. It’s a very basic position. These guys need to be the fastest players. Rush the QB like mad. The linebacker (LB) may also line up with you and pretend to rush, but will ultimately drop back to cover the QB or crossing routes. The linebacker may also blitz, consult with safety. Switch the D-line players often if you have subs. Their job is tiring, and having fresh legs is a must. 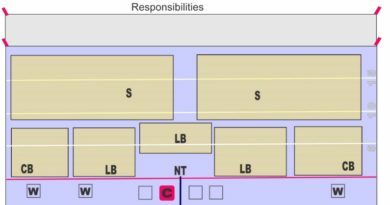 Every two downs, is optimal for subbing D-line players. Being fast and fresh is the key. No O-line or QB will be able to take this type of punishing pressure down after down. Let them get tired, not you. The Safety is the defensive QB, especially in flag football. He is to lead the defensive team. His role is to cover anyone who gets loose. If a wide receiver is getting open deep, he covers and helps out. If an offensive lineman goes out, he has to cover him if the linebacker is busy. If he sees a nice blitz opportunity, he can tell a cornerback to blitz, while he picks up the slack. If a corner blitzes, the linebacker covers the now open wide receiver short, and safety covers him deep. Can a safety blitz? Sure, because he is the extra guy. Let the linebacker know you are blitzing, so he can pick up your zone. The Safety and Linebacker are the two most crucial position on defense. Don’t screw this up!